This year I’ve been attempting to do The Official TBR Pile Challenge 2015, hosted by Adam from Roof Beam Reader. The Challenge was to read 12 books from my ‘to be read’pile. Two alternates were allowed, just in case you just couldn’t finish a book for whatever reason. The books you read must have been on your bookshelf or ‘To Be Read’list for AT LEAST one full year and you have to list them in advance. If you didn’t finish; what kind of progress did you make? 1 of 12? 6 of 12? Even reading one book is a step in the right direction, so if you gave it a shot ‘“ good for you! Which books from your list did you love? Which ones did you hate? Plan to read any of the leftovers in 2016? I was a bit doubtful that I’d complete this challenge because I often find that planning in advance what I’m going to read doesn’t work for me ‘“ I seem to find reasons for reading other books instead of the ones on my list! I didn’t read all the books, but I didn’t do too badly, finishing 8 books out of 14. 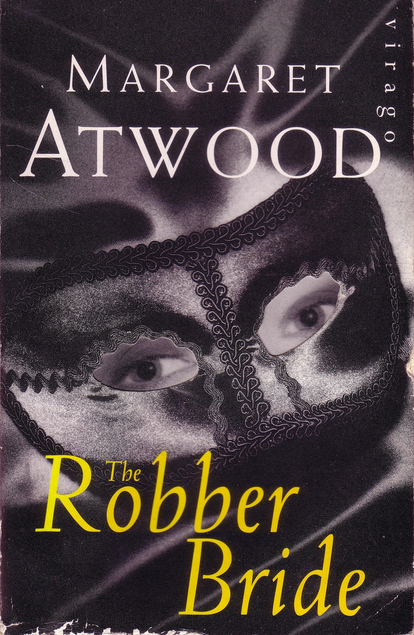 The Robber Bride by Margaret Atwood (pub 1994 ‘“ on my TBR since 2009) Finished 2 September 2015. At times I thought it was too detailed and I just wanted to get on with the story. But overall I thought it was very good, and in parts excellent. The Burning by Jane Casey (pub 2010 ‘“ on my TBR since 2013) Finished 9 February 2015. I really enjoyed this, the first the DC Maeve Kerrigan series. Zen there was Murder by H R F Keating (pub 1960 ‘“ on my TBR since 2012) Finished 22 July 2015.It’s a mixture of Zen Buddhism and murder and For most of the time I was completely bamboozled! 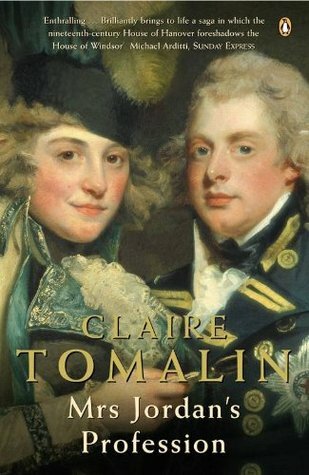 Mrs Jordan’s Profession by Claire Tomalin (pub 1995 ‘“ on my TBR since 2011) Finished 12 November 2015. I loved this book about the actress Dora Jordan and her relationship with the Duke of Clarence, later King William IV . Fresh from the Country by Miss Read (pub 1960 ‘“ on my TBR since 2012) Finished 21 August 2015. Set in the early 1950s , this is a novel about Anna Lacey, a newly qualified teacher. A bit disappointing compared to Miss Read’s Fairacre and Thrush Green novels. The Interpretation of Murder by Jed Rubenfeld (pub 2006 ‘“ on my TBR since 2007) Finished 9 April 2015. This began well but I lost interest and at times I felt it was slowed down too much by psychological exposition and debate. 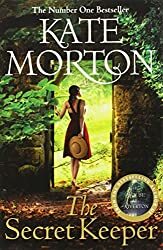 The Secret Keeper by Kate Morton (pub 2010 ‘“ on my TBR since 2013) Finished 21 June 2015. A book that really captured my imagination. I loved everything about it. Diamonds are Forever by Ian Fleming (pub 1956 ‘“ on my TBR since 2011) – Finished 18 December 2015. An entertaining if not a mind-stretching book. I enjoyed it. The Needle in the Blood by Sarah Bower (pub 2007 ‘“ on my TBR since 2007) I began reading this but abandoned it as I found it so confusing and I don’t like the fact that it’s written in the third person present tense, which I find awkward. We Were the Mulvaneys by Joyce Carol Oates (pub 1997 ‘“ on my TBR since 2011) – I’ve started reading this one. Apart from The Needle in the Blood I hope to read these books next year. This was my first attempt at this challenge and will be the last as Adam at RoofBeamReader will not be hosting this next year! 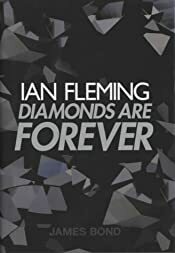 Diamonds Are Forever by Ian Fleming has been on my TBR shelves since 2011 and is one of the books I listed to read as part of the To Be Read Pile Challenge 2015. … over the rim of the world and bathed the cabin in blood. There is very little action until about half way through the book. It is easy to read and moves at a decent place, once it gets going and despite all the descriptive passages. The plot is quite simple – Bond is assigned to infiltrate and close down a diamond smuggling operation, run by the Spangled Mob, operating from Africa to the UK and the USA. It’s run by a couple of American gangsters, the Spang brothers, and the mysterious character known as ABC. He meets Tiffany Case, a beautiful blonde, an intelligent and resourceful woman, who was gang-raped as a teenager. By the end of the book she and Bond have fallen in love and survived almost impossibly dangerous situations. Also helping Bond is the American Felix Leiter now no longer working for the CIA, having lost an arm and a leg in a shark attack, but as a private detective employed by the Pinkerton Detective Agency. The James Bond in this book is not quite the James Bond of the movies, but still a very likeable character, with obstinate eyes in a lean brown face – Bond is maybe the one character in this book with not much description. The villains are not as evil and sinister as the movie villains – for example, there’s no Blofeld, or Rosa Kleb or Goldfinger. The Spang brothers are Jack and Serrafimo, who owns a western ranch and ghost town called Spectreville. Then there are a couple of thugs, Wint and Kidd, who come across as caricatures, but they are a serious threat to Bond, who gets quite a severe beating (no gory descriptions), when he is captured, only to escape with Tiffany, ending in a wild chase across the western desert. So, overall I think this is an entertaining if not a mind-stretching book. I enjoyed it. It took me several days to read Margaret Atwood’s The Robber Bride. It’s a intricately woven book, long and detailed. At times I thought it was too detailed and I just wanted to get on with the story. But overall I thought it was very good, and in parts excellent. It begins with Zenia – and Zenia is dead. She died five years earlier and Tony, Roz and Charis went to her funeral. These three women all had cause to be thankful she was dead; Zenia, beautiful, smart and greedy, had deceived all three, wrecking their relationships, taking their money and self-esteem. Although they met regularly they hadn’t talked about her since they’d buried her and their lives are turned upside down again when, lunching at the Toxique, Zenia walks back into their lives. The rest of the book tells what had happened in each of their lives, told from each woman’s point of view and moving backwards and forwards in time – a bit confusing sometimes, you have to concentrate. Tony, is a small woman, an academic specialising in military history, with a habit of pronouncing words backwards; Charis is described as ‘what Ophelia would have looked like if she’d lived‘, who thinks she has healing powers; and Roz is a successful business woman, whose husband is a serial womaniser. Zenia, who never tells her story, is a consummate liar and presents a different version of herself to each of the three women and she remains a mystery and a dark malevolence throughout the book. The Robber Bride is inspired by “The Robber Bridegroom,” a tale from the Brothers Grimm in which an evil groom lures three maidens into his lair and devours them, one by one. But it’s much more than that – it’s about power and the struggle between good and evil. It’s also about women’s friendship, and about the relationship between men and women. This is one of the books I’ve listed for the TBR Pile Challenge, so it also meets the criteria for the Mount TBR Challenge too – a book I’ve had on my shelves for several years now. I loved Miss Read’s Fairacre and Thrush Green novels when I read them years ago. ‘˜Miss Read’ is a pseudonym for Dora Jessie Saint (1913 ‘“ 2012) who wrote over 30 gentle books of English country and village life for adults and children. Set in the 1950s, Fresh from the Country is a stand-alone novel telling the story of Anna Lacey, a newly qualified teacher, as she spends her first year teaching in Elm Hill, a new suburb in London. It is a little disappointing, because although Miss Read successfully conveys Anna’s dislike of the new suburb in comparison to her love of life in the countryside where she grew up, I found it a bit over done and dispiriting and the comparison is repeated several times in different ways throughout the book. Despite my slight disappointment I did like this book, which transported me back to the 1950s, when children were taught in large classes and the pace of life was slower than today. It was a bit disconcerting to read that Anna enjoyed smoking, but then the dangers of cigarettes were not emphasised in those days and many people did smoke. By the end of the year Anna feels more settled at the school. She is looking forward to moving out of Mrs Flynn’s house to more comfortable lodgings with the hospitable and friendly Mrs Armstrong. But she thought that in the ‘misty future there might be a country school‘ and a ‘little house of her own set in quiet fields’. I don’t think that Miss Read wrote any more books about Anna, but I like to think that a little village school did materialise for her. Reading Challenges: this is the 25th book I read towards the Mount TBR Reading Challenge and the 4th book for the TBR Pile Reading Challenge. In the context of this challenge and also the Mount TBR Challenge TBRs are books that have a publication date before 1/1/2014 (ie any book published in the year 2013 or earlier qualifies, as long as it has been on your TBR pile). It does not include all the books you’ve acquired since 1/1/204 even though they are, of course To Be Read books too! It’s time for the MAY Check-in for the 2015 TBR Pile Challenge, hosted by Adam at Roof Beam Reader! We’re now almost half-way into the challenge, which is to identify and to read 12 books during 2015! Question of the Month: If you could go back and edit your list to make ONE change, what do you think you would have done differently? A book or author that you wish you had included? A book that you wish you hadn’t bothered with? First of all this is my answer to Adam’s question – I wish I hadn’t included The Needle in the Blood by Sarah Bower, which I have put back one of the books on my shelves, at least for the time being, as I found it so confusing and I don’t like the fact that it’s written in the third person present tense, which I find awkward. I bought this book 7 years ago and like to think that I am more careful now in choosing books and would avoid books written in that tense. My Progress: 2 of 12 Completed – I am way behind! I’ve read The Burning by Jane Casey and The Interpretation of Murder by Jed Rubenfeld. 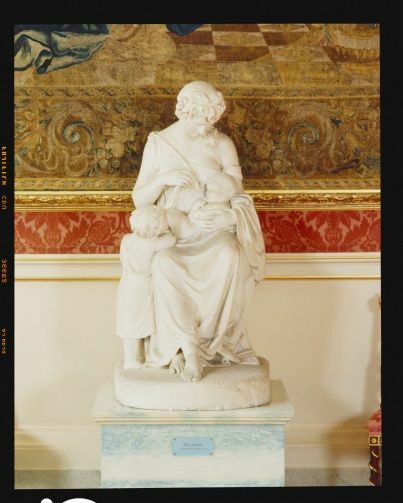 The books for this challenge are shown in the sidebar to the right. I start reading one of the books from the TBR Pile and find it difficult to read because it’s in a small font, or it’s very heavy/bulky to hold, so I read something else. Or it’s very long and I fancy reading something shorter. I keep reading about interesting books on other book blogs and want to read those now, so I either borrow them from the library, which means I have to read those first in case I can’t renew them, or I buy them and start reading them straight away. Then there are books I read for my local book group which I have to fit in each month. I’ll have to overcome these reasons if I’m ever going to read those books!